A career at ICBC is an opportunity to be part of a talented, diverse and inclusive team that is driven to serve its customers and community. Make the most of your skills and take the opportunity to grow and develop your career. You can expect a competitive salary, comprehensive benefits and a challenging work environment. Drive your career with us. ICBC is committed to being an inclusive employer, one that reflects the diversity of the people and communities of British Columbia. 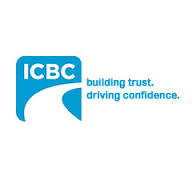 Position Highlights ICBC is hiring a Legal Secretary! Working as a team member of our Corporate Law Department, located at the North Vancouver Head Office, this is an excellent opportunity for you to contribute to the success of ICBC. You will enjoy interesting and challenging work related to the corporate side of our business, specifically, strategic sourcing processes resulting in IT and general purchase agreements, corporate litigation and other corporate related matters such as marketing, competition law, privacy, environmental matters and real property as well as project related work with public bodies. If you thrive on being challenged and pushing your skills and abilities to the next level this is the perfect opportunity. Position Requirements Key to this role is a thorough knowledge of corporate law procedures along with a legal secretarial diploma or certificate and several years' experience in progressively responsible legal secretarial positions involving preparation of contracts and related agreements, an understanding of litigation documentation, preparation of and/or understanding of corporate documentation, experience conducting legal searches, preparation of power point presentations and use of excel for statistical reporting or a combination of the foregoing. Additionally, your qualifications include: Successful completion of a legal secretarial program, and several years’ recent legal secretarial experience with sound knowledge of administrative procedures/practices Self-motivated, strong organizational and time management skills to be able to handle a high volume of critical information & ensure deadlines are met Attention to detail to ensure accuracy and completeness in correspondence, legal documentation, research and reports Experience with responding to enquiries, or explaining contract terminology, legal entity status and contract processes and procedures Experience with opening files, tracking activities, organizing, classifying and categorizing information Ability to work well as part of team Superior knowledge of business English, spelling, punctuation, and arithmetic The ability to prioritize and adapt to changing demands, including managing conflicting priorities Superior interpersonal and judgment skills Keyboarding speed of 55nwpm at a 90% accuracy level; PC competency and the capability to learn software related to the job.